Patios are a great-looking and functional part of any backyard landscaping. Patios can be used for a variety of purposes, whether it’s for dining, entertaining, relaxing, or playing. If you’re looking to add a patio to your backyard, you need to design one that marries your landscaping goals with your functional needs. Square/Rectangle: A simple yet versatile choice, a square or rectangle patio is very common for Northern Virginia homes. This shape is often chosen by homeowners who frequently host gatherings with a larger number of people, or who simply prefer a traditional design. This shape is a perfect complement to a deck, or is great for providing outdoor seating close to the house. Rounded/Circular: Rounded or circular patios help give your yard a smooth, elegant look. Rounded or circular patios can either be attached to the house, or placed in the yard for a detached, unique style. These patios are often used for fire pits, dining space, or seating. Custom/Free-Form: Your patio can be designed in just about any shape or pattern you would like! Free-form or custom patios are often asymmetrical and commonly include multiple curves, but they can also be designed with sharp, jutting angles. These patios provide a relaxed, casual feel to the yard. No matter which shape you choose, you can often build your patio in the appropriate size for your yard. There are no set guidelines for how big your patio should be, so do some planning before beginning your patio construction. Make sure you know how big your yard is and how much space you want to designate to your patio. Consider what you want to use your patio for. This will help you determine how big you need your patio to be, and how much room in your yard you can expect it to take up. Consult your local Northern Virginia landscaping company for assistance in choosing your patio size. For a truly unique backyard look, you can mix and match different patio shapes and sizes in one yard. Add a smaller, circular patio in the corner of your square patio to offset an outdoor dining area. Add a patio in the middle of your yard, disconnected from your main patio, and include some seating for sunbathing or stargazing. You can create almost endless combinations of different patio sizes and shapes to give your backyard a style you’ll love. 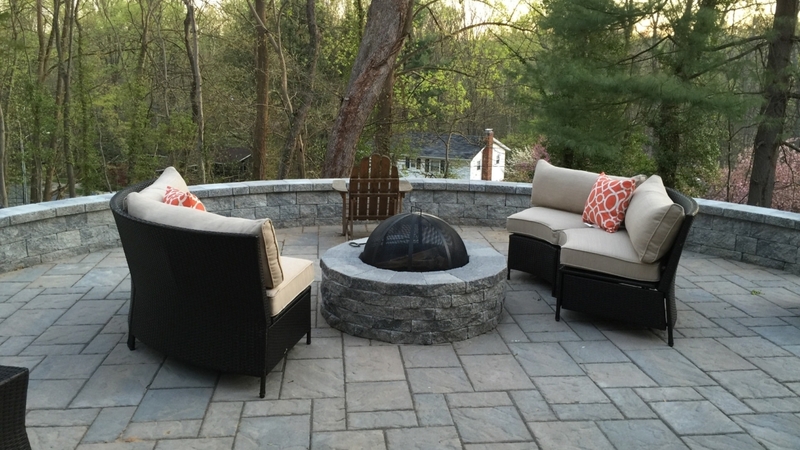 Groff Landscape Design, a landscaping company in Northern Virginia, provides patio construction services. Our landscaping experts are dedicated to providing you with a gorgeous patio that will complement both your home and your individual needs. Contact us to begin your Northern Virginia patio construction project today!